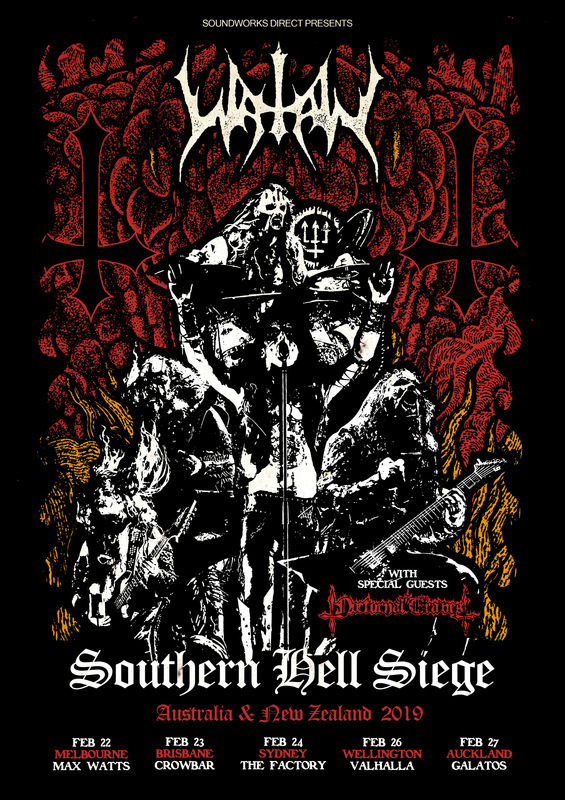 NOCTURNAL GRAVES are about to kick off their Australian tour dates supporting WATAIN. The rampage will begin at the Max Watt’s in Melbourne on Friday, February 22, and continue to wreck havoc in Australia and New Zealand until a final curtain at the Galatos in Auckland (NZ) on the 27th of February. Find a full list of confirmed shows below. 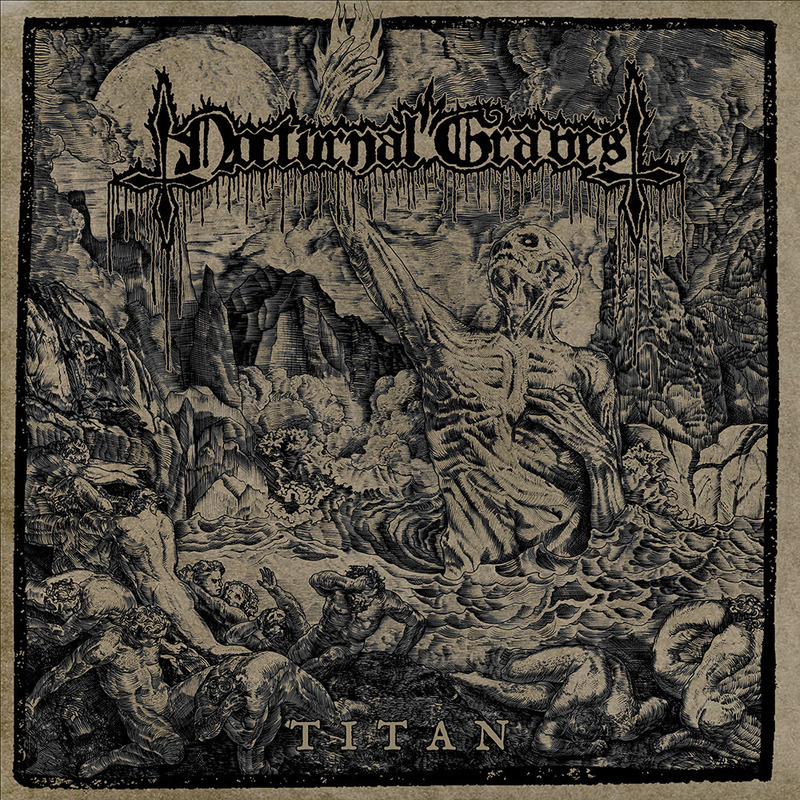 NOCTURNAL GRAVES will be playing in support of their latest release ‘Titan‘. Cover and track-list can be viewed below. Remember the famous blues legend about aspiring musicians meeting the devil at the crossroads, who offers artistic greatness in return for the souls of the eager seekers of fame? Well, a similar story can probably be told aboutNOCTURNAL GRAVES. Just exchange “fame” with “true old school spirit” and re-locate the fateful meeting to the very point where black, death, and thrash metal grow in and out of each other – with each of these sub-genres being expressed in their earlier incarnations. At exactly those crossroads you will find ‘Titan’. The third full-length of the Australian veterans unashamedly celebrates the testosterone-driven raw aggression of the darker side of the ‘80s metal scene. Each riff hits home hard with as much passion as precision. NOCTURNAL GRAVES obviously love what they are doing and this shines through every brutal note. Song by song this band keep the flame burning and their uncompromising conviction as well as execution sets ‘Titan’ apart from random nostalgia and makes the album fully relevant within the contemporary metal setting. NOCTURNAL GRAVES were originally formed in Melbourne, Australia in 2004. Two well received demos, ‘Profanation of Innocence’ and ‘Deathstorm’ followed in the same year. Quickly scoring a record deal, the band officially released the ‘Necromancer’ 7″ vinyl in 2006 before unleashing their cult debut full-length, ‘Satan’s Cross’ the following year, which was re-issued with the stunning cover art by renowned painter Paolo Girardi (INQUISITION, MANILLA ROAD, HIEROPHANT) in 2017. When the Australians first hit Europe in 2009, they celebrated the event with ‘The Gravespirit Sessions’ split. Former DESTRÖYER 666 and RAZOR OF OCCAM guitarist Shrapnel, as well as drummer L.W., joined in 2012. 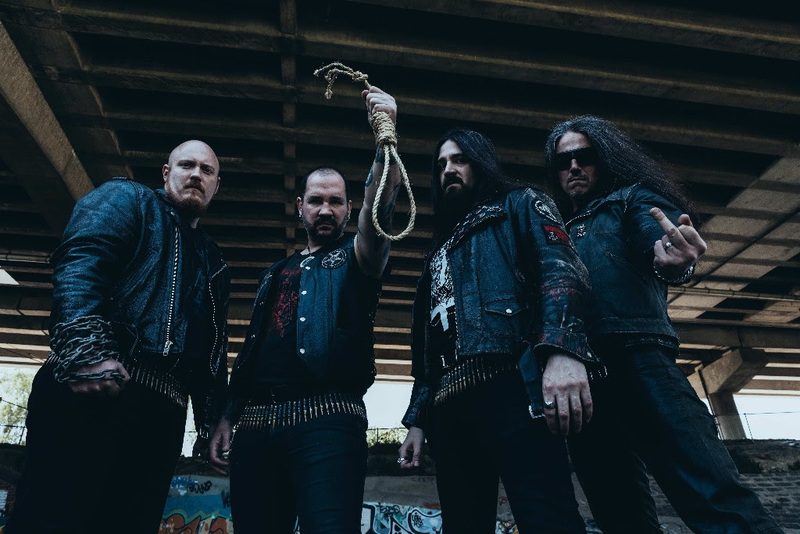 NOCTURNAL GRAVES widely extended their international fanbase with the release of sophomore album ‘…From the Bloodline of Cain’ (2014), which resulted in an invitation to the 2016 edition of Maryland Deathfest and more shows in the US. The band supported the tour with a limited 7″ EP ‘Sharpen the Knives / Lead us to the Endless Fire’. Now, NOCTURNAL GRAVES are getting ready to conquer the world with their highly anticipated forthcoming third full-length. ‘Titan’ is in every sense as big as the album’s name implies. Prepare for impact! LAGERSTEIN Announce ‘Beer Right Back’ Australian Tour + Supports Announced!